Avocados are more and more coming to be known as a heart-healthy superfood with numerous health benefits. Avocados are truly one of nature’s little miracle foods and it’s a great idea to integrate them into your daily or weekly diet. 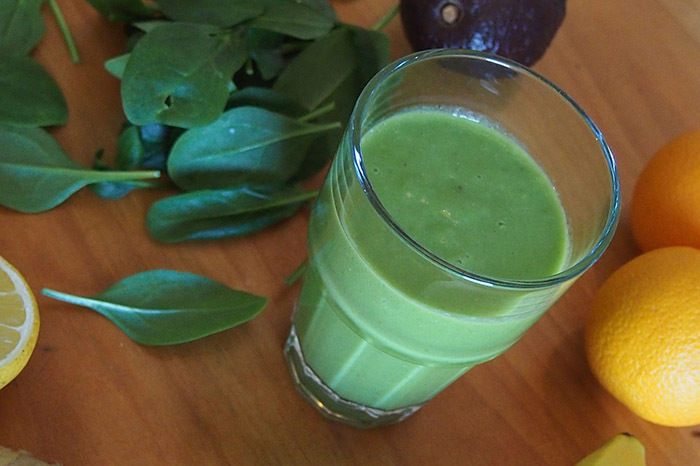 These enjoyable little green gems can do so much to help keep you healthy from head to toe. Studies have shown that avocados positively benefit our cardiovascular system in a number of ways due to their low saturated fat and high unsaturated fat content; namely the monounsaturated fat MUFA variety. As heart disease is the number one health risk in the United States, affecting nearly 27 million adults, it’s important to do all we can to include heart-healthy foods in our diets. 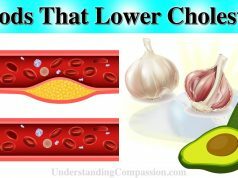 Consuming adequate levels of unsaturated fats may help lower LDL-cholesterol (bad cholesterol), maintain HDL-cholesterol (good cholesterol) and potentially improve insulin sensitivity. In addition to its nutritious healthy fat content, avocados also contain the nutrients potassium and lutein, and include plenty of antioxidants such as carotenoids, callexanthophylls and phenols. These nutrients can help prevent inflammation and oxidative stress in the blood vessels while facilitating improved blood flow. If you haven’t already started adding avocado to your salads, sandwiches and smoothies, now is a good time to start! The healthy fats contained within these satisfying fruits (yes avocados are indeed a tasty fruit) can help with weight-loss and maintaining a healthy BMI by promoting a feeling of satiety; it keeps you feeling full for longer, reducing later food cravings and leading to weight-loss. A recent study showed that including avocado in meals helped extend feelings of fullness and reduced the desire to overeat. So our meals which include avocado tend to increase feelings of satiety for longer than those without, a wonderful benefit from this healthy green gem. Avocados also have a high fiber content, about 14g per fruit on average, which helps add to feelings of satiety that curb hunger cravings. In addition, higher avocado consumption has been associated with smaller waistlines and lower BMIs in observational studies. Some research has even shown that weight-loss diets higher in MUFA, such as the ones found in avocados, can be healthier for your heart than low-fat weight-loss diets. 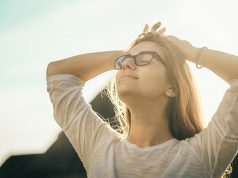 A protein compound called glutathione, along with the xanthophyll lutein, which are both found in avocados, have been associated with decreased rates of oral cancer. Avocados also contain numerous phytochemicals, such as xanthophylls and phenols, that may also help prevent cancer. Preliminary data also show promising results for the potential role of avocado in reducing the risks of both breast and prostate cancers. Certain preliminary studies have also shown that a specific type of fat, avocatin B which is a lipid derived from the avocado fruit, is able to exert anti-cancer effects on acute myeloid leukemia cells. While further research needs to be conducted, researchers are investing their time and energy into the anti-cancer effects of avocado as it is showing potential benefits for treatment. 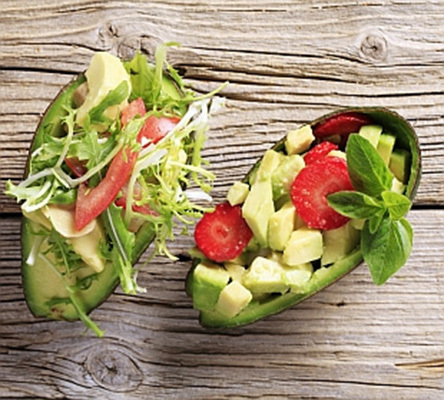 The carotenoids found within avocados have a wonderful effect on numerous parts of our body. 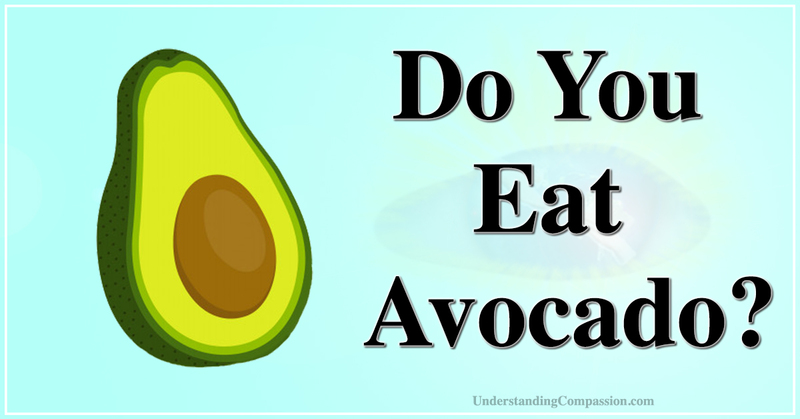 Both lutein and another compound found in avocados called zeaxanthin can slow age-related ocular decline and prevent vision dysfunction. In addition, these same two nutrients also act as buffers against oxidative UV damage, thereby keeping our skin smooth and looking healthy. The bioavailability (ease of absorption by our body) of carotenoids from avocados compared to many other fruits and vegetables makes eating avocados every day a smart choice for maintaining health. 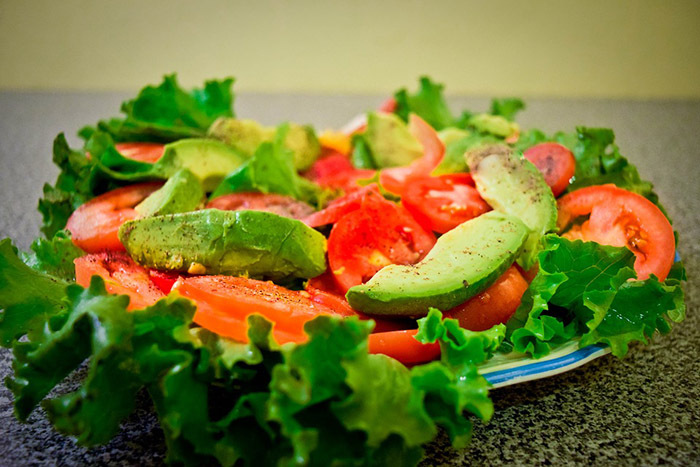 Simply use a spoon to make thin sliced pieces of avocado and add it to the top of your salads. If you’re looking to reduce the calories and chemicals from salad dressings, avocado can even be used as a natural and healthy salad dressing substitute, as its creamy texture and delicious flavor make any salad taste good. 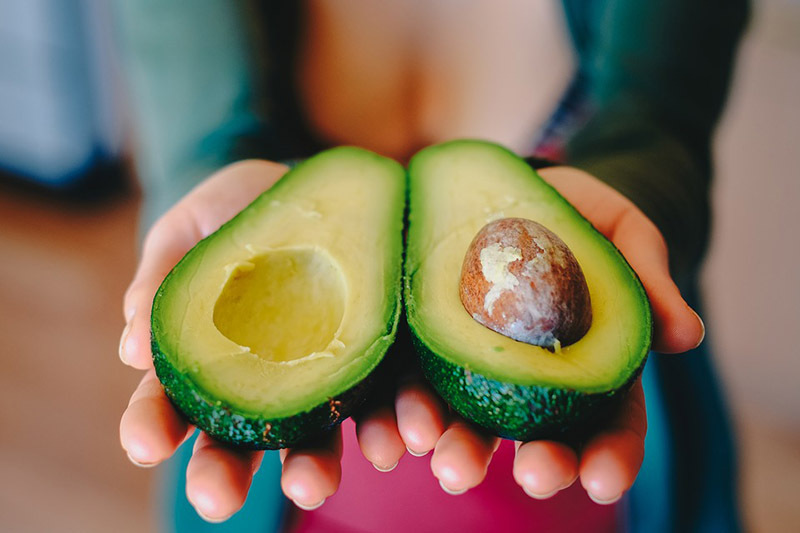 Aside from the high number of wonderful health benefits that come with eating avocados every day, they have the extra bonus of being a delicious and creamy food that can be added to a number healthy shakes, salads, dips, and toppings. Do you eat avocados regularly?